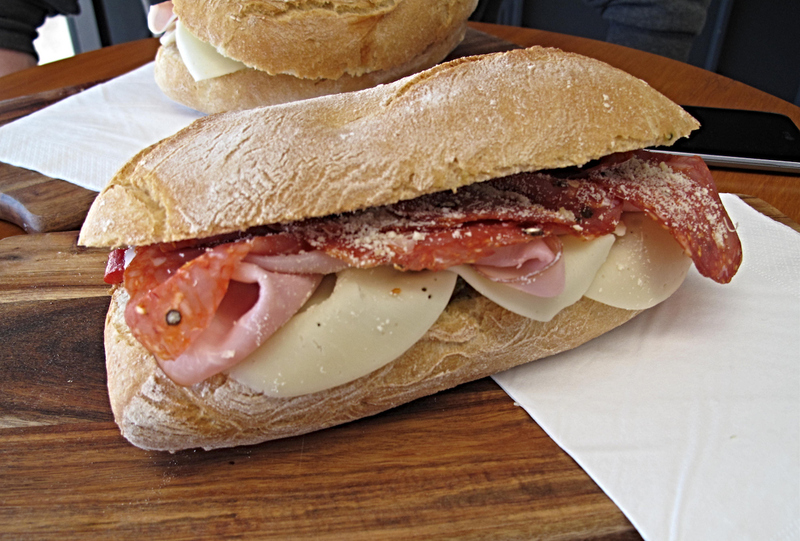 Rocco’s Deli, 93 Buckley Street, Seddon. 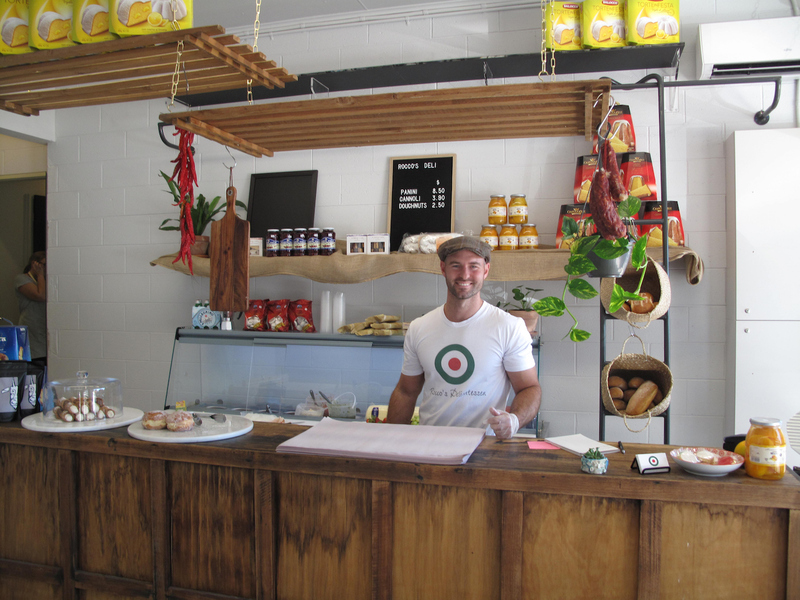 It’s opening day at Rocco’s Deli in Seddon. Post-kung fu, all we’re after is a look-see. Upon arrival, though, we find the new operation in fully open mode, so we are delighted to settle in for a while. Not just for lunch and sweets, but also for a big serve of opening buzz we share with the staff and numerous locals coming and going to have a gander. 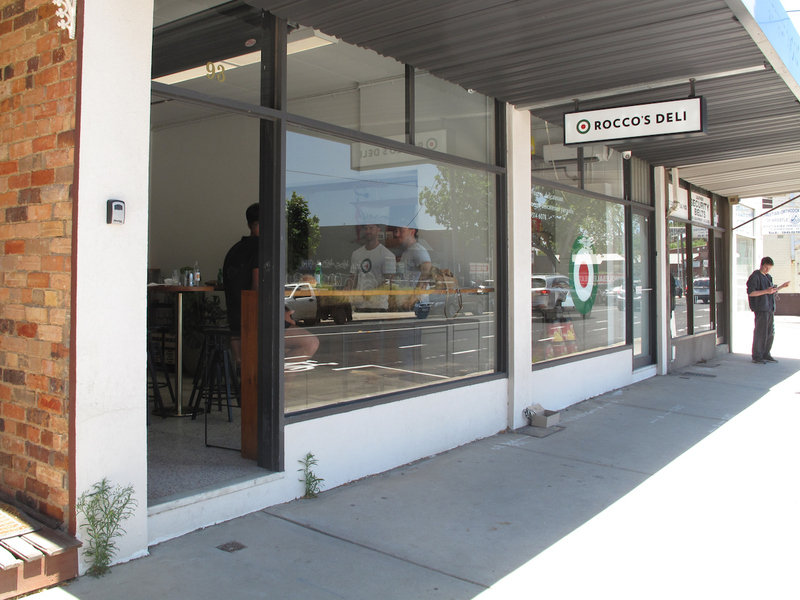 This Seddon branch of the famous Rocco’s Deli in upper Yarraville is an adjunct of Lay Low Bar with which it shares the building. Since our initial story about Lay Low, we have watched on with admiration as the place and its makers have put in a lot of hard work to successfully establish their business. Along the way, they have demonstrated a level of smarts, savvy and wisdom in terms of self-generated community engagement that should be the envy of many. There have been cocktail classes, a busy and cheerful social media presence, a pop-up stall at the Willy beer and cider festival, a food tie-in with the adjacent Brother Hood Yiros and Grill and more. Lay Low’s Colin tells us the Rocco’s opening is all a part of that – and, more directly, the desire to have food available on Sundays when the Brother Hood goodies are unavailable. So … the sourcing of grazing boxes from Rocco’s in Yarraville has quick-smart led to the establishment of Rocco’s in Seddon. Remarkably, Colin also tells us the fit-out and set-up has come together in a matter of days – rather the usual months and/or years. Food offerings are simple, cheap, sublime. 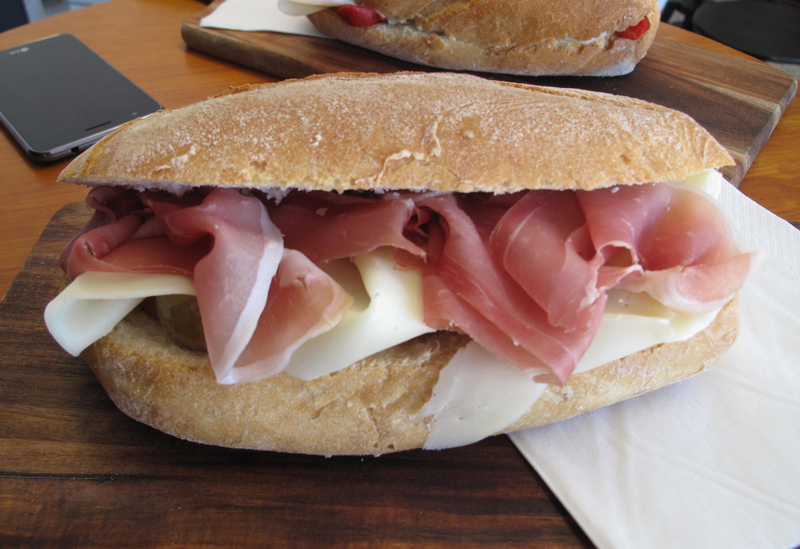 My sandwich is an Italian dream of singing flavours delivered by high-quality ingredients – hot salami, ham, provlone, roast red capsicum, pesto, split green olives. It’s superb – and at $8.50 is a great contrast to some of the lame $15 sandwiches going around, and could even be said to inhabit the same pricing planet as banh mi. Bennie goes a slightly different route involving prosciutto and sun-dried tomato. 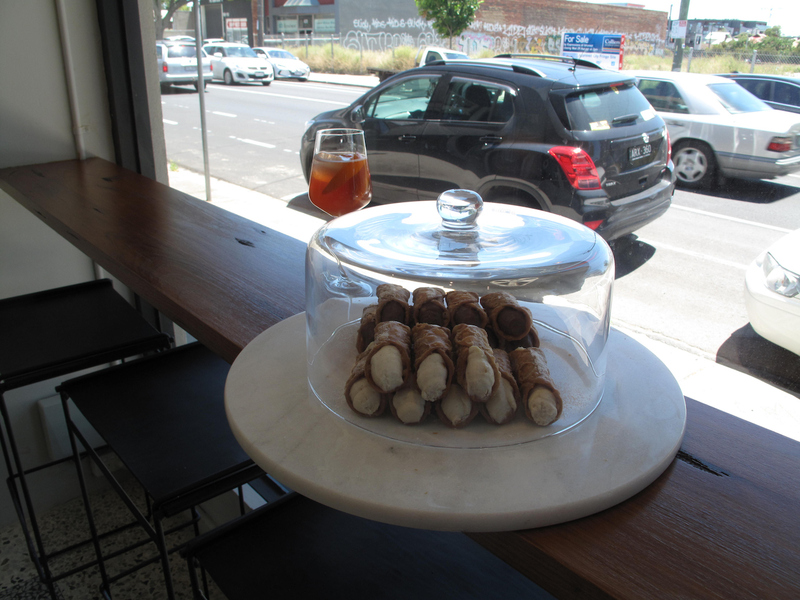 Rocco’s Seddon is being described as a “spritz bar and deli” and as you’d expect – given the Lay Low breeding – there is some great booze on hand. But we stick with bubbles of the soda water and ginger beer variety. 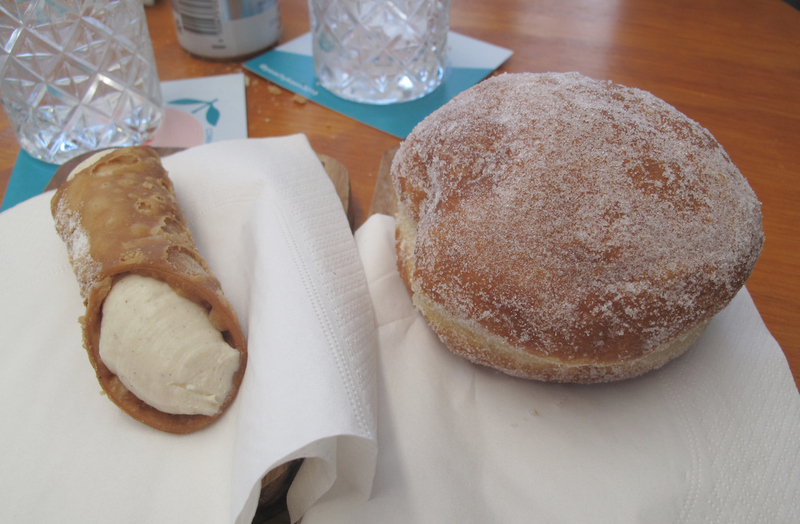 We snaffle the day’s last jam doughnut ($2.50) and a sensational ricotta cannoli ($3.90), both house-produced and the latter having a much smoother texture than the grainier vibe with which we are familiar from other ricotta fillings. 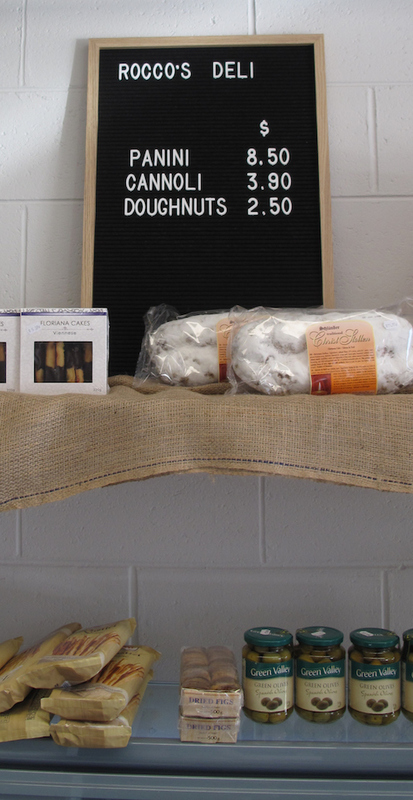 We’re assured that next time we visit to eat such treats, there will be coffee to accompany. We admire Lay Low and the Seddon branch of Rocco’s. And we love the way they are helping bring on a welcome transformation of what Consider The Sauce referred to in 2014 as “Footscray’s bleakest street”. Ever tried this place Kenny? Wondering if it’s worth the journey from my side of town. Hi Art! No, haven’t tried it. Or even heard of it, TBH. Will have a look!